Dr Jengo's World: Purchased Shank 2 on PSN! 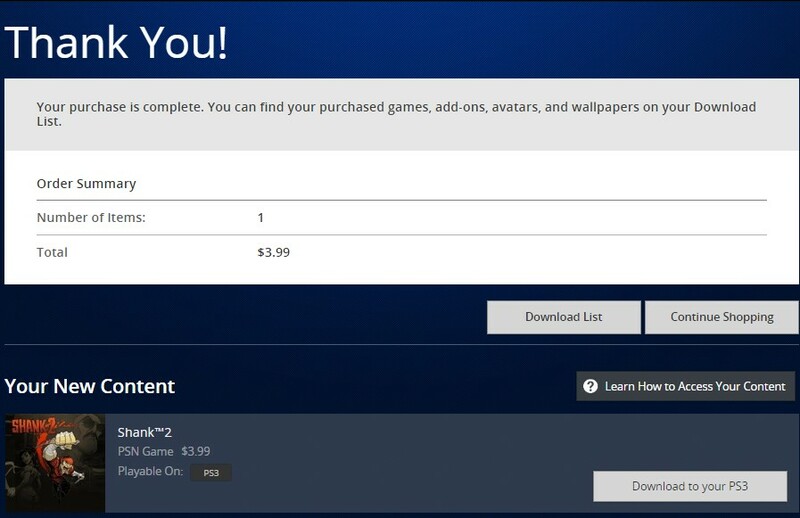 Just bought this from this week's US Playstation sales! I haven't complete the co-op campaign on Shank 1 though, so if there's anyone interested in completing that, let me know!